The Karkogel ski resort near Salzburg doesn’t boast the most extensive piste distance, the largest funparks or après ski until the sun comes up. 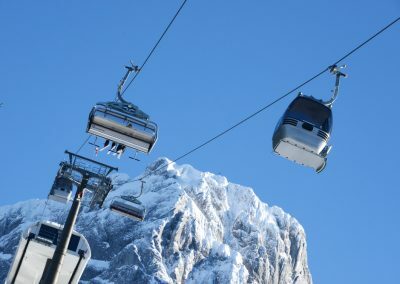 Rather, the Karkogel ski and winter sports region in the Tennengau region of Salzburg presents nine kilometres of slopes that are world-class quality. 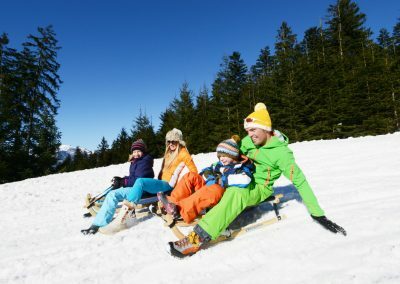 The Karkogel ski resort in the Abtenau family holiday region is just as good as the big players but has all the benefits of a small, friendly winter sports region. Karkogel/Sonnleit’n pistes in Tennengau: featuring the Karkogel combination chair-gondola lift, 1 tow lift and 3 button lifts, that are all ideal for kids and beginners. Advanced skiers can test their skills on the David Zwilling & Alexandra Meissnitzer World Cup slope. 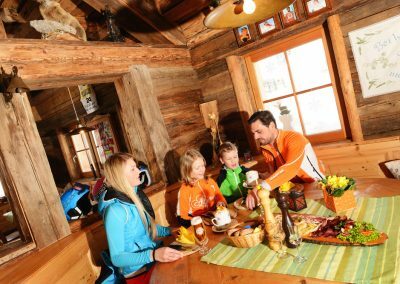 You will also find fair prices for families and kids and attractive combination tickets for the Dachstein West ski resort near Salzburg (160km of slopes, 64 ski lifts). Day & night tobogganing at Karkogel: this three-kilometer-long tobogganing run is great not only because of its route but also because it has plenty of snow (thanks to snow cannons) and is illuminated until 10:30pm! 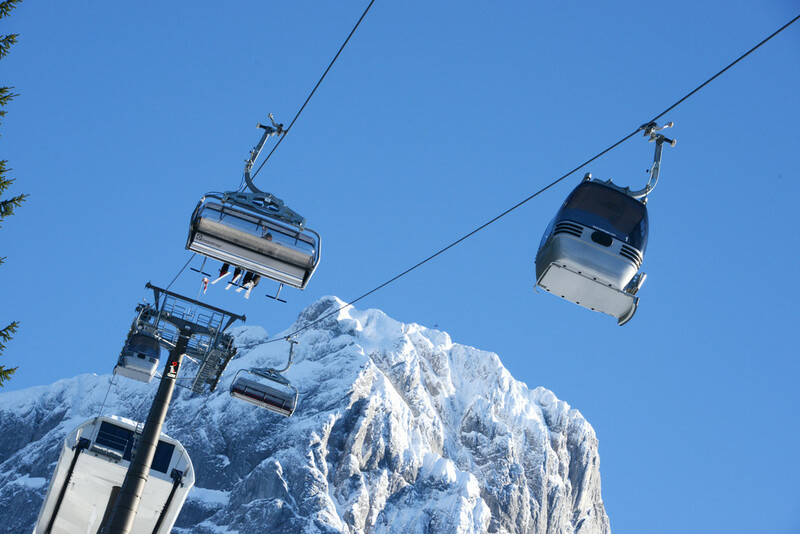 Hire a toboggan and take the Karkogel cable car (with discounted evening family prices) right up to the start of the toboggan run next to the cable car mountain station! 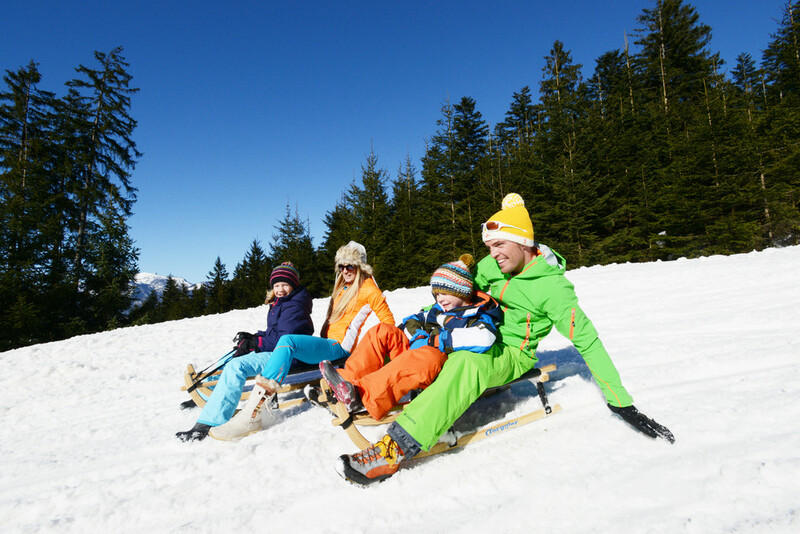 Fun sports & backcountry skiing in Abtenau: zip down the slopes on a snow bike or experience the peaceful beauty of the Tennen Mountains on a backcountry ski tour! There are plenty of opportunities for fun sports and backcountry skiing in Abtenau near Salzburg. 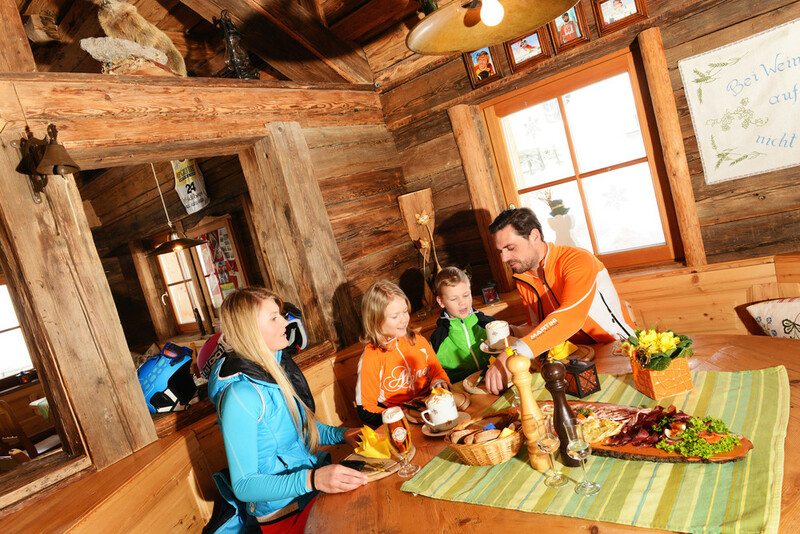 Grabbing a bite to eat is an important part of snowboarding, ski touring or skiing in the Alps! The rustic ski huts of the Karkogel ski resort near Salzburg offer plenty of hearty traditional Austrian food to fill you up, as well as great views to enjoy from the sun terrace.